2015 sees Abarth announcing the revised 595 competizione with many revisions and they have made both hatchback and cabriolet models available. 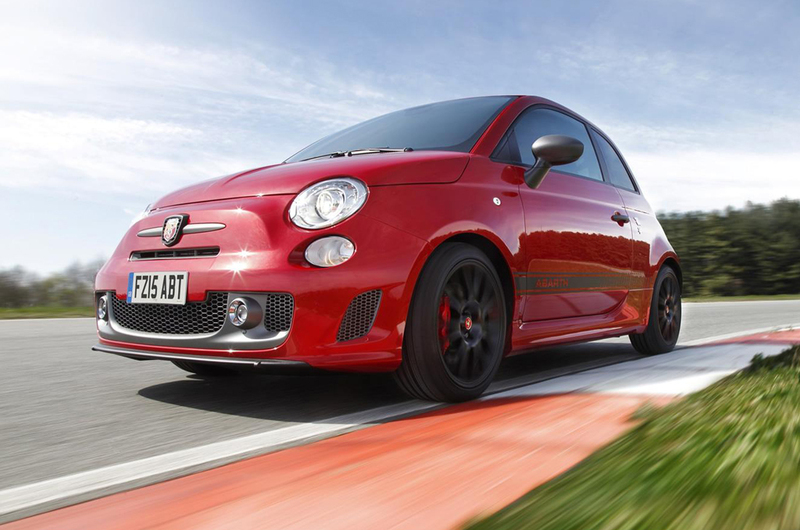 The pocket roket from Abarth has now gained an extra 20 bhp that leads the previous total to grand 180 bhp. The car now has a fantastic pick up for 0-62 mph in 6.7 seconds with a top speed of 140 mph. With an economic fuel consumption of 5.8 litres for each 100 km, the 595 model is sure to set the stage for a strong competition in the market. With features like Brembo brakes, red brake callipers, xenon headlights and alloy wheels of 17-inch dimension, the 595 Competizione also features rear parking sensors. The interior boats of aluminium pedals, a steering wheel wrapped in leather and sporty seats. It also has the privilege of an electric sunroof and fantastic interscope sound sytem with four-speaker audio, if the customers want to spend some extra cash. The previous Officina red color has now been replaced by Campovolo grey. The manual hatchback price kicks off at 19,890 GBP while the cabriolet’s manual version starts at 21,890 GBP. The automatic hatchback begins at 21,190 GBP while the similar Cabriolet will be available at a beginner’s price of 23,190 GBP.